Long Beach and the West Coast of Vancouver Island offer an ever changing set of conditions, from dark to light, from light surf to storm surge with any given hour of the day possibly different than the hour that came before it. I shot a lot of frames in five days at Cox Bay and the Long Beach Lodge, but these two are among my favourites. 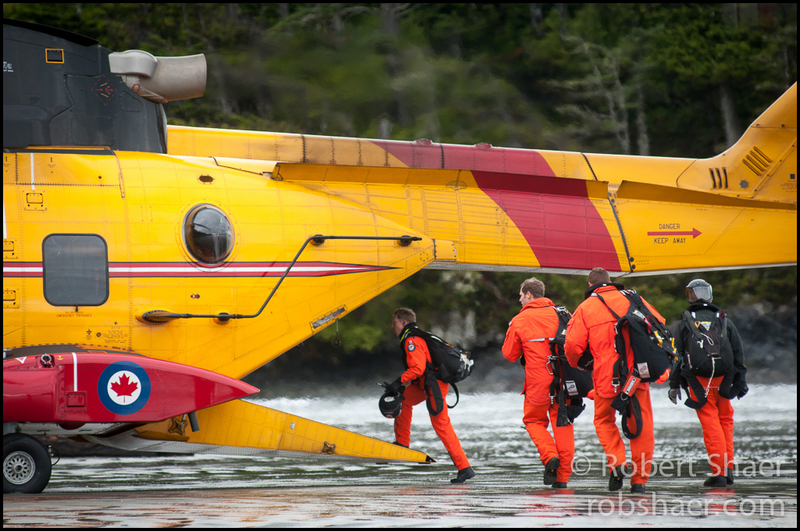 This the the 442 Search and Rescue Squadron out of Comox, BC and one afternoon I looked up to see their parachutes overhead. For these men, this was a drill but for the people on the beach, it felt like something out of a movie to see the Buffalo Aircraft circling the bay and the Sea King Helicopter landing on the beach; one of our party described what she saw as “Very James Bond”. 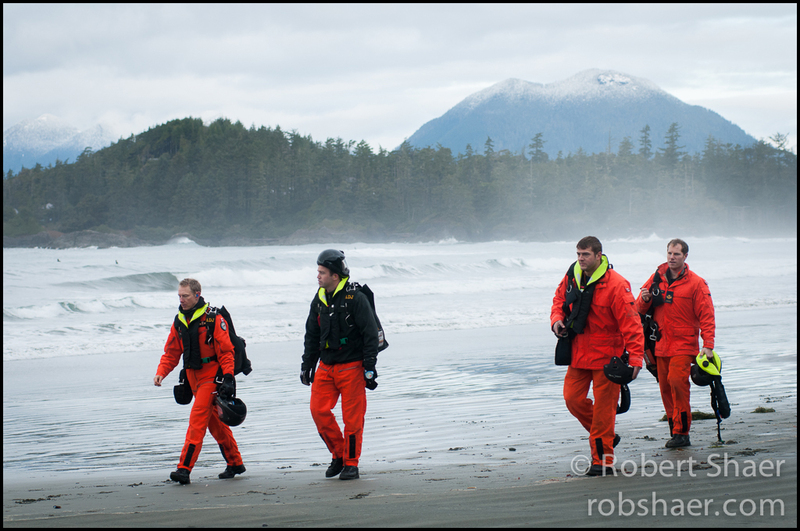 Making pictures of people at work is one of my favourite things to shoot, especially when it involves winter surf, four guys with parachutes and millions of dollars of aircraft. This is the kind of thing that feature photographers live for, and one that I could have very easily have missed had I decided instead to have a nap rather than heading back to the beach. It reminds me of the Boy Scout Motto, Be Prepared. I was lucky that my gear was close at hand, these images just wouldn’t be the same shot from my Blackberry! This is also a great argument to keep a small camera with you, as you never know what might drop from the sky.